The Dunelmensis Award is given by the University’s Senate to a Durham alumnus or alumna for meritorious and exceptional service in support of the University, particularly for our institutional advancement and for enhancing the University’s reputation, nationally and internationally. This year, 2016, sees the 150th anniversary of the first alumni society at Durham. To mark this occasion three Dunelmensis awards will be conferred throughout the year. On Friday 13 May, at the Vice-Chancellor’s Reception in Beijing, Ocean Wang (Ustinov, 2009) became the youngest alumnus, and the first Durham University Business School graduate, to be presented with a Dunelmensis award. 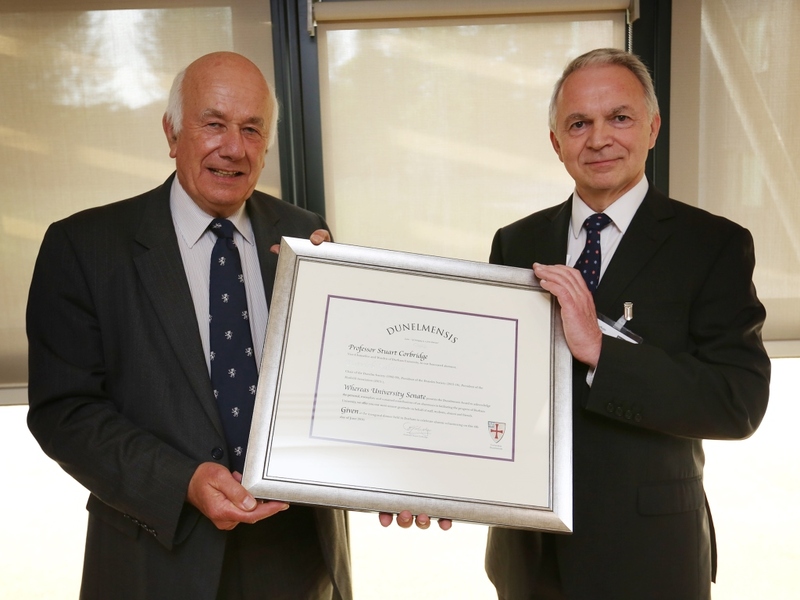 Ocean is recognised as Durham University Business School’s most dedicated ambassador. A Durham MBA and Chair of the School’s International Committee in China, he has been instrumental in connecting the University with our Chinese alumni, who are our largest population outside of the UK. On Saturday 4 June the University hosted the first ever Celebration of Alumni Volunteering. The event, held during National Volunteer Week, saw the second Dunelmensis award of 2016 conferred to Patrick Salaun (Hatfield, 1967). Patrick has supported Durham in a variety of roles for a number of decades; first as a Dunelm Society committee member, as Chair during the nineties, and most recently as President. Patrick was the familiar figure sitting at an un-tented table on Palace Green during graduation week in the eighties, encouraging alumni to sign up to the Society. It was this single stall that eventually developed into the voluminous marquee that greets new graduates today. Patrick also created the database of names that formed the basis of the alumni database that the University still holds. 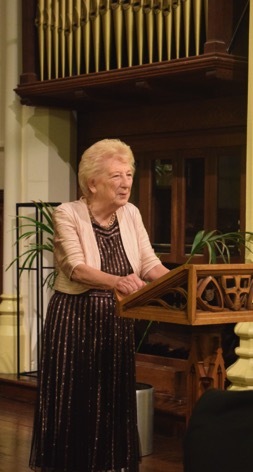 Now aged 87, Lilian Groves (Education, Hild Bede, 1973-75) continues to be active in College exactly 70 years since she first arrived here: she is a member of the Boards of the Hild Bede Trust and the Caedmon Ceolfrid Trust, a member of College Council and Vice President of the Alumni Association. Lilian has an outstanding record of service to the College of St Hild and St Bede and to the University, of whose core values she is in many ways the embodiment. By her activity in fields that were unusual for women at the time and her continued involvement with the Cathedral, she has done much to promote the College, University and City on a national and international level. It is particularly fitting, given the long history of her service to the education of women, that she is the first woman to receive it.